BCS Engineering is fully capable of helping you with your BigCommerce GDPR Compliance. We can implement and analyze your BigCommerce applications to help you achieve compliance & assist you with any other issues that you might have regarding GDPR. We are offering a 4 Hour BigCommerce Support Consultation which includes a phone discussion to understand your business processes. We will then use that information to look into your site and propose changes that we recognize & provide a time estimate to achieve those changes. If there is time remaining in the 4 hour consult after completing the above tasks, we will use that remaining time to start implementing the changes that we identify to your BigCommerce site. We will base our work off of current best practices regarding GDPR & do our best at that point in time to help you achieve compliance. However, we do want our clients to understand that these regulations are a moving target & constantly changing. We encourage you to review all services and contracts connected to third-party companies with your legal counsel, in order to confirm GDPR compliance. 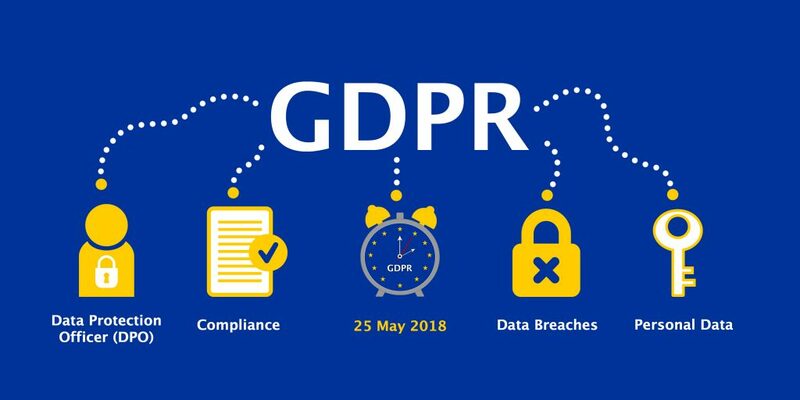 GDPR changes go into effect on 5/25/2018. Contact us for a quote to help you with your specific needs! This entry was posted in Bigcommerce on April 25, 2018 by Carrie Saunders.